I was getting ready backstage when my manager said," Y/N, VIP starts in 2 minutes so come on, you don&apos;t want your fans waiting for you." You&apos;re probably wondering why I&apos;m famous, well I&apos;m a singer, like almost every single singer that&apos;s famous I started with posting covers on YouTube and now people are covering my songs. I can&apos;t believe I finally get to meet Y/N Y/L/N, the love of my life, her voice is just perfection and she is so beautiful, but I know she wouldn&apos;t like me, she famous, well I&apos;m famous too but there&apos;s so many guy fans that love her and some of them have better features than me, but that&apos;s no the point, I got VIP so i can meet her, I&apos;ve waited so long to meet her, the line is so long, but who cares I&apos;m meeting Y/N Y/L/N. 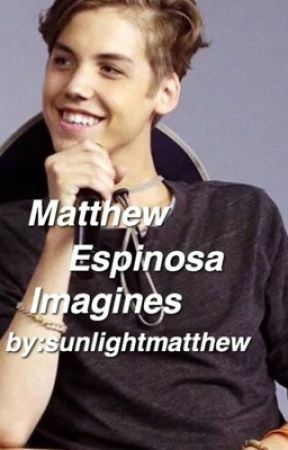 There was so many fans that got VIP, I love making my fans happy, how their faces light up when they&apos;re about to meet me, but of course I&apos;m a fan as well, a fan of the famous viner Matthew Espinosa, their was rumors that he has a huge crush on me, but I doubt it most rumors aren&apos;t even true anyways, I was looking at all my fans today when my eyes met a pair of brown eyes that looked so familiar, but it can&apos;t be him, he probably doesn&apos;t even know who I am, so I just shook it off. OMG y/n looked straight are me, I think I might faint, she looked at me and not just for a second for like a whole minute. Oh my god, can I meet her already. 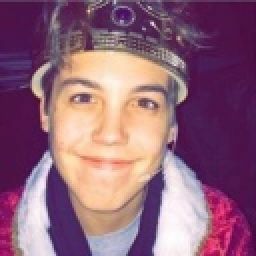 I started meeting fans and I couldn&apos;t get that boy off of my mind he looked so much like my celebrity crush, Matthew Espinosa. But I thought he was on the Magcon Tour, what am I saying he is on the Magcon Tour. I whispered to my manager, "Hey, can you get a closer look on that boy who looks like Matthew Espinosa." She nodded and she walked over to the boy, his face lit up I don&apos;t know why? She was walking back and she whispered," It&apos;s Matthew, he says he&apos;s your biggest fan." I replied," See I knew I wasn&apos;t hallucinating, I didn&apos;t think it was him, I thought he was at the Magcon Tour." She said," He said it ended early." I nodded. I saw y/n talking to her manager, and then her manager was walking towards me and she said," Are you Matthew Espinosa?" I replied," Yes, that&apos;s me." I smiled. "Well just so you know, she&apos;s like your number 1 fan, she talks about you all the time." I blushed," Really, I&apos;m like her biggest fan, I never thought she would like me back, I guess dreams do come true." She said," Wait aren&apos;t on the Magcon Tour." I replied," It ended early." She nodded and walked back to y/n and y/n smiled at me and she seemed happy to see me there at her meet & greet. I can&apos;t believe Matthew freaking Espinosa is at my meet and greet I think I might faint. He was only like 3 people behind the next person in line. Matthew was next my heart as beating so fast, it could come out of my chest. "Hi, what pose would you like to do." I smiled. He took out his phone and it showed a girl kissing the guy&apos;s cheek. I blushed and I stood on my tippy toes and kissed his cheek, his smile was so huge and so perfect. He said," Umm...could you sign this for me?" I said," Sure thing babe." I had the habit of calling my fans &apos;baby&apos;, &apos;babe&apos;, &apos;sweetheart&apos;, etc. he blushed, OMG I made Matthew blush. I signed it and I whispered in his ear," Call me, just so you know I&apos;m also your biggest fan and we should hang out sometime." He replied," Sure thing baby, I would love to hang out with you." He winked and smiled. That was one of the best meet & greets ever.